Professional Packing Movers from Qshark Moving Company that Pack for You in Los Angeles! When you are planning to move houses, your choice on whether to conduct the move on your own or using home packing services Orange County companies will make the difference. If you value your household goods highly and wish to have them delivered to your new home safely, then hiring packing services is an expense that is necessary. Below are some reasons why it is necessary to use these services on your move. Moving houses involves a lot of activities in order for the move to proceed smoothly. In the midst of all these activities one has to attend to their everyday business and life. If you were to handle the move by yourself, you would waste a lot of valuable time that could have been used to improve your financial health. Moving involves getting boxes, packing your stuff inside them and then moving them and lastly unpacking them. If you were to hire a home packing service company you would escape all these hassles and make good use of your valuable time. In case of any damage or breakages is experienced in the course of the moving, the liability is transferred to the packing services company. This is a welcome relief as the home owner will not be required to bear the cost associated with the breakages. This will give you a peace of mind as you will be assured of getting a refund in case anything goes wrong. This is unlike in the case where you handle the moving yourself where you will be solely responsible for any breakages or loss of goods. Home packing services providers are experts in the field of helping people move from one home to the other. Ordinary people who are the home owners are amateurs when it comes to moving and this is the reason why they should get help from the experts. The packing services providers will be able to handle your moving well from start to finish with minimal disturbances or damages. They have the skills and expertise needed in moving fragile goods in an efficient and safe manner. If you value your home goods well enough then it would be important to ensure that you hire the services of these moving experts. 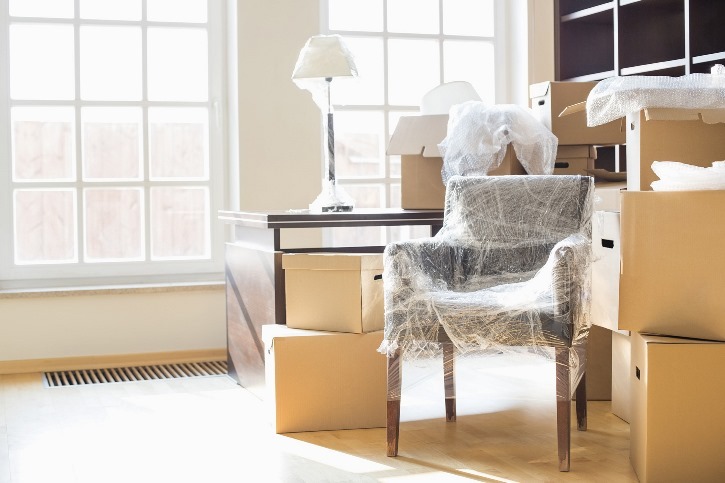 At the end of the day if you wish to have a peace of mind as well as have your valuable time and money saved, you should go for home packing services Orange County. This would ensure that your goods reach their destination safe and sound and without a hassle at all. Before you move ensure that you hire the services of these moving experts. Moving and relocating entails a couple of issues that need to be sorted out in the best way possible. For starters, when moving, you will surely not want to leave any of your valuable things behind. Packing is arguably one of the most cumbersome and tiring tasks that you need to take care of before the moving day. This is why it is important to hire professional packing services to help in packing your belongings. If you pack your things by yourself, there are chances that some of the things may get broken or damaged in other ways. To avoid this, you should hire professional packers as they not only use the right packing tools (boxes) and techniques to ensure that your things are safe and well-protected during transit. Packing services QShark professionals have a wide range of equipment at their disposal to choose depending on the items they are packing and transporting. For instance, if you want to move with your cars, these professionals choose the most suitable vehicle transporter to use in transporting the cars. Likewise, they use the most applicable carriers to pack and transport items such as refrigerators, washing machines, and TVs among other items. Professional packers do not limit themselves to packing items only but also offer other services such as shop relocations, commercial shifting, and office shifting among other services. Therefore, when you hire these service providers, you can get a good bargain on their services especially if you are hiring them for more than one service. Packing services Orange County professionals work closely with other service providers and authorities in the moving sector. These authorities include local area authority, inter-state authorities, and international border authorities. This networking can come in handy when applying for the relevant moving and relocation papers. This is because of the reason that the packers may apply for these papers on your behalf or advice you on the best approach to use when making the applications. Even though packing appears to be a seemingly easy and hassles task, it should be left to professional packing services Orange County. There is a lot of planning that is involved in packing and moving items from one place to the other. When you hire these professionals, you can be sure that your things will be packed, sealed and transported to your preferred location without any damage whatsoever. In the event of loss and damage to items (though a very rare occurrence), the service providers through their insurer offer compensation.